ISLAMABAD, Sep 18 (APP): Foreign Secretary Aizaz Ahmad Chaudhry has reiterated that Pakistan will continue to raise the Indian occupied Kashmir (IoK) issue and the Indian atrocities committed against Kashmiris. He said the Indian occupied Kashmir issue topped Prime Minister Muhammad Nawaz Sharif’s address to the 71st United Nations General Assembly session, besides his important meetings with the world leaders on the sidelines of the session. 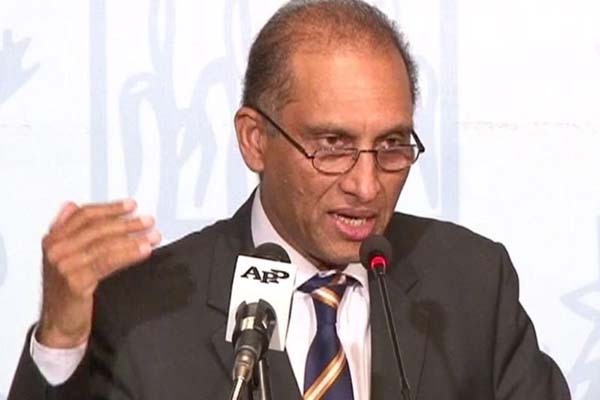 Aizaz told a private TV channel on Sunday that India was trying to divert world attention from the inhuman atrocities in the IoK by referring to Balochistan province. He said the IoK was the internationally recognized dispute over which the UN had adopted resolutions. Balochistan province has been witnessing massive progress and development with the commencement of China Pakistan Economic Corridor (CPEC), he added.